As Las Vegas tech show CES gets under way we look at some of the innovations which will make an impact this year. In recent years annual Las Vegas tech show CES (which runs from 6-9 January) has been dominated by trends including connected home products, sensory tech, virtual reality and self-driving cars. This year designers and manufacturers are looking to refine these trends by bringing affordable and reliable products to market. And beyond the hype of these categories are many other innovations. Here are five that have caught our eye so far. While artificial intelligence continues to climb its very steep learning curve, robotics designers seem to be focusing on nuanced and practical robots. 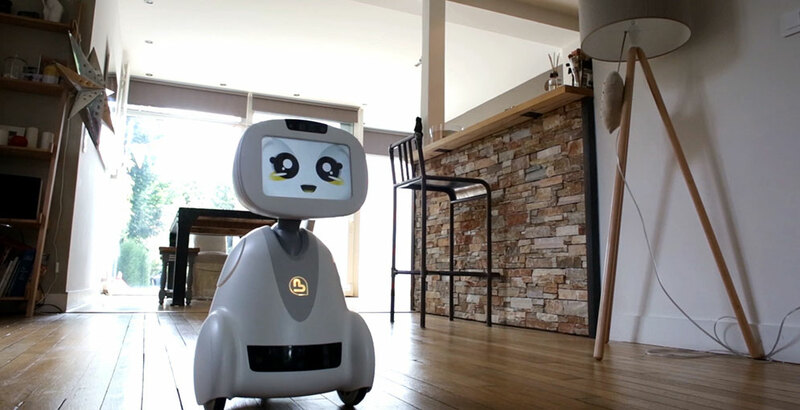 The deliberately cute Buddy, by Blue Frog Robotics, promises to “connect, protect and interact” with each member of your family. It is open-source and programmable making it easy for developers to create their own applications for Buddy. Buddy can protect your home, offer assistance in the kitchen, play music and videos, act as a calendar and alarm clock and interact with connected home devices. This robot, Leka, has a social purpose – to interact with and stimulate children with developmental disorders such as Autism and Down’s Syndrome. It is still in development but the start-up team behind Leka has been working with health professionals, parents and children to design a product, which can help teach through play and make therapy easier. Its interactions are predictable, which is important for the child’s sense of safety and peace of mind. Adaptable sensory stimulations include sound and music, facial emotions (which will become an interface with further development), lights, vibrations and movement. 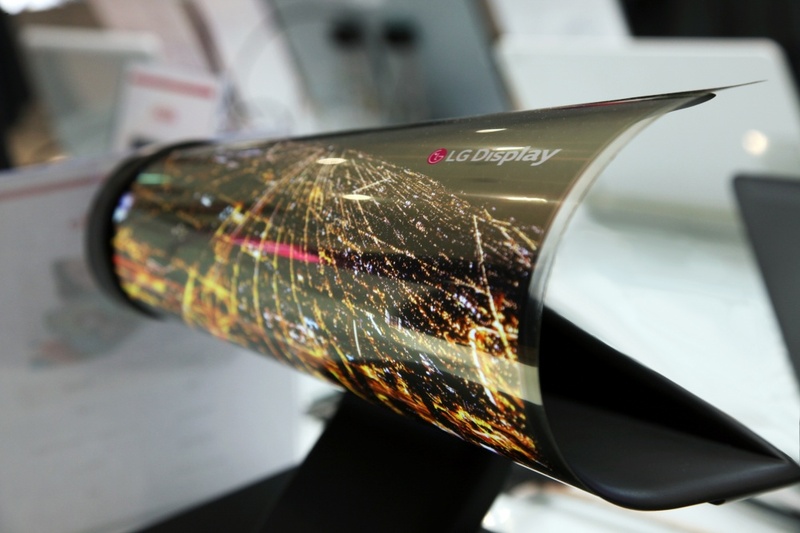 LG has designed and developed an 18-inch colour screen concept that can be rolled up. It is being demonstrated at CES but there are no immediate plans to integrate it into any products. Samsung as been investing in similar technology for a potential phone screen and you might remember this slightly wacky aeroplane fuselage that uses similar technology. LG has identified that its screen – which is much larger than similar concepts – might be used in car interiors. The FFZero1 by Faraday Future is worth a mention for its outrageous Batmobile styling, the fact that you set driver preferences by placing your phone in the steering wheel and its revolutionary production techniques. 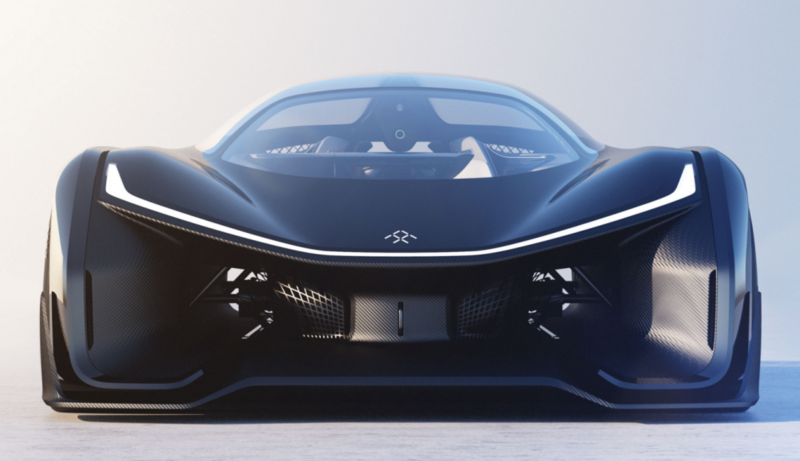 Founded in 2014, Faraday Future is looking to bring its first car to market in 2017. It claims to have advantage over traditional car manufacturers in that it can offer a modular manufacturing technique to create green, internet-connected electric vehicles. This means that a core design is being developed which can be adapted for different vehicle types. 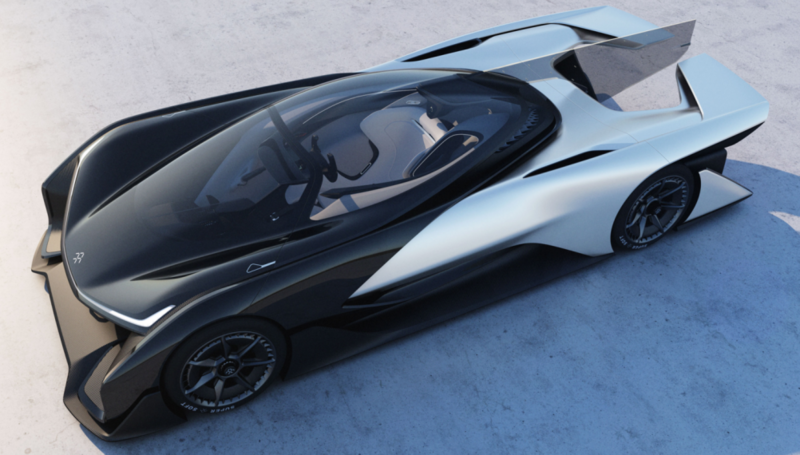 The 1000 horsepower FFZero1 concept has a “sixth sense” for driver preferences and configurations when the phone is docked, it has access to live images and real time data visualisations. It is possible that the cars will be rented rather than bought as part of a subscription model like that used by Spotify or Netflix. The heated smart shoes which do themselves up. 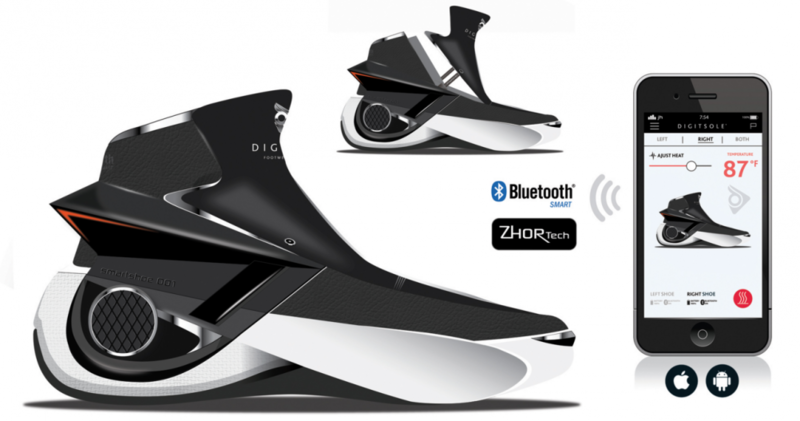 While we’re not sure the world is ready for Digitsole’s Smartshoe it does show that there’s some rather out there stuff being showcased in Vegas this week. The app-controlled shoes can be heated on demand, feature a self-fastening mechanism and monitor distance travelled and calories burnt. There was a working prototype on display but the styling probably won’t be for everyone.